Asset allocation will make or break your financial goals. 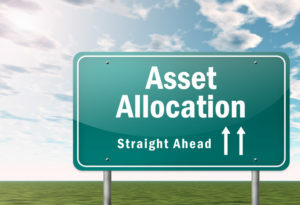 Without being deliberate about your choice of asset allocation method, you might see some returns, but you most likely won’t see them for very long. Investors must understand asset allocation or they risk using a one-size-fits-all method that may not be appropriate for their goals. Worse, they might make the mistake of choosing a very risky approach when they’re supposed to be taking things easy during pre-retirement. Below, we’re going to look at six methods of asset allocation that are worth considering. This might be the most common form of asset allocation, which makes sense because it’s also probably the simplest. With this method, you basically just create a mix of assets based on expected rates of return. For example, if you were sure stocks would be returning 10% a year and bonds would be coming in at 5%, a split of the two would give you returns of 7.5% every year. Why not just go with 100% stocks in that situation? Because bonds are generally less volatile. Strategy asset allocation helps manage your risks. On the other hand, there is constant-weighting asset allocation. Now, with strategy asset allocation, you really need to buy-and-hold. The values of your assets are going to change over time, but you can’t simply drop them or that method is doomed to failure. This can be uncomfortable – even unbearable – for some people. They much prefer the constant-weight asset allocation method. With this approach, you are constantly rebalancing your portfolio. Say one of your assets is declining in value. If you’re using the constant-weight asset allocation method, you’d buy more of it. If it was going up in value, you’d want to sell. While there are certainly no rules set in stone, most financial advisors would recommend that you rebalance your portfolio whenever a single asset class moves 5% in either direction from its starting value. If you have the discipline for it, tactical asset allocation be an impactful strategy. With tactical asset allocation, you focus on short-term opportunities, which means you must also have an eye for the markets. Experienced investors often use this asset allocation method because it applies the strategic asset allocation approach to short-term gains and then, once those gains are made, returns back to a long-term position. 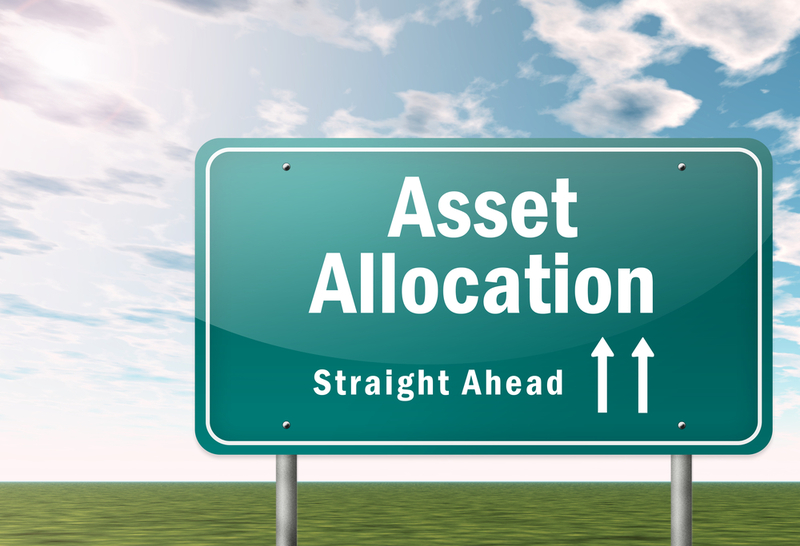 As the name suggests, an even more active approach is dynamic asset allocation. With this one, you’re constantly adjusting your mix of assets with the rise and fall of the markets and economy. It’s the exact opposite of constant-weighting asset allocation, too. Investors who use dynamic asset allocation want to buy when they see assets going up in value and sell when they’re falling. Basically, investors who prefer this approach assume the market will keep heading in the same direction. As such, if they saw the stock market showing strength, they’d expect this to continue and purchase stocks as a result. If you prefer to play it conservatively, insured asset allocation – as the name suggests – is one to consider. With this form of asset allocation, you set a benchmark for your portfolio, one you will not allow it to get under. So long as your portfolio stays above this baseline, you leverage active management to keep this growth going as long as possible. If your portfolio should ever go south of that pre-established amount, insured asset allocation dictates you must get into less volatile assets until you get back to the fixed amount decided on. At that time, you might want to consider another asset allocation strategy. Finally, with integrated asset allocation, you’d design an asset mix based on your economic expectations and risk tolerance. In many ways, it’s a combination of all the other asset allocation methods. It accounts for the changes in capital markets that occur while also taking into consideration your unique tolerance – or lack thereof – for taking on risk. This is another method that’s best reserved for experienced traders because of the way it draws from all of the above. For the novice, it can be easy to make mistakes with integrated asset allocation. Hopefully, you found the above very helpful and have come away with some idea which method may help you accumulate the most wealth or at least help preserve it, as the case may be. However, if you’d like the services of a professional, contact Mooney Lyons today. We will sit down with you to make sure we understand your unique financial status and goals. Then, we’ll explain to you which asset allocation method we suggest and why, so you completely understand how your hard-earned money should be invested. The opinions voiced in this material are for general information only an dare not intended to provide specific advice or recommendations for any individual. No strategy, including asset allocation, assures success or protects against loss. Rebalancing a portfolio may cause investors to incur tax liabilities and/or transaction costs. Tactical allocation may involve more frequent buying and selling of assets and will tend to generate higher transaction cost. Investors should consider the tax consequences of moving positions more frequently.